EggYums are a fun & easy-to-use. EggYums use 95% less marinade. Eggyums create a wonderful printed patterns on your egg. 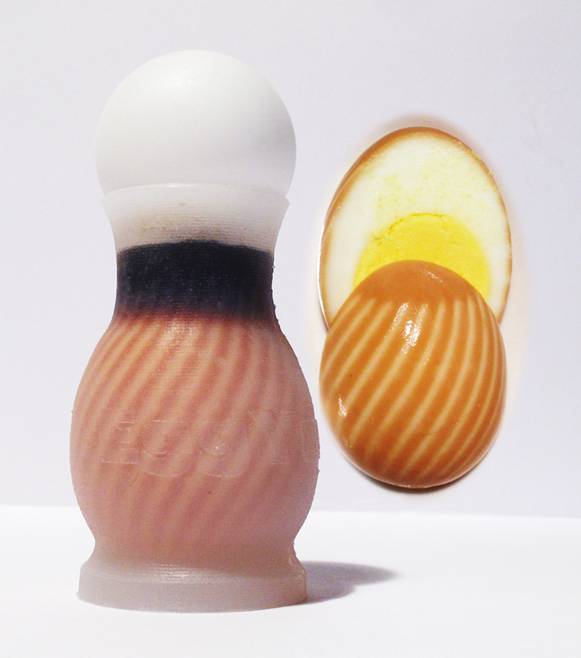 EggYums enhance your entrée and Ramen Presentation. EggYums are Made in USA using food-grade, food-safe silicone rubber. Thanks for trying EggYums! We hope you will enjoy your EggYums a lot! 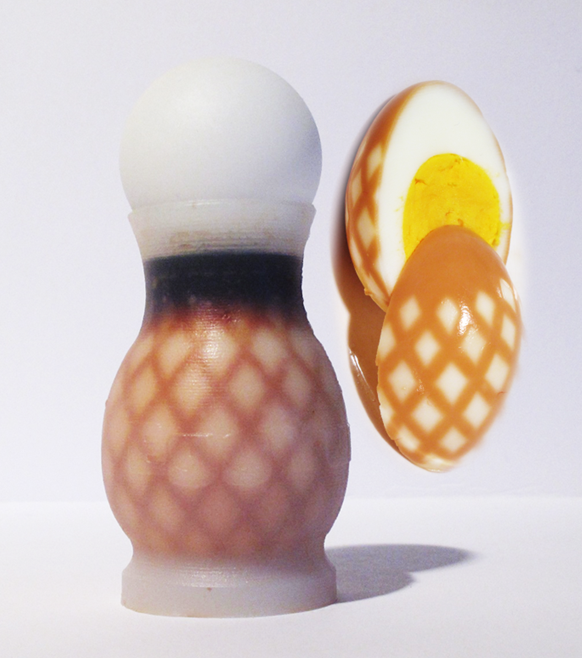 EggYums can be gently massaged to re-position the egg slightly for best pattern printing and to remove bubbles. 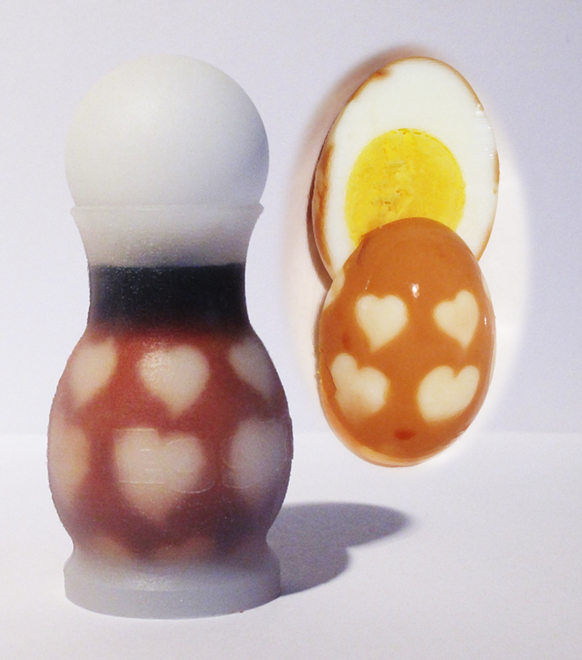 Try to get a nice white and brown contrast within EggYums for best pattern printing. Boiled eggs are tastiest before refrigeration and immediately after marinating. For Best Results marinade eggs for 30 to 90 minutes at room temperature. 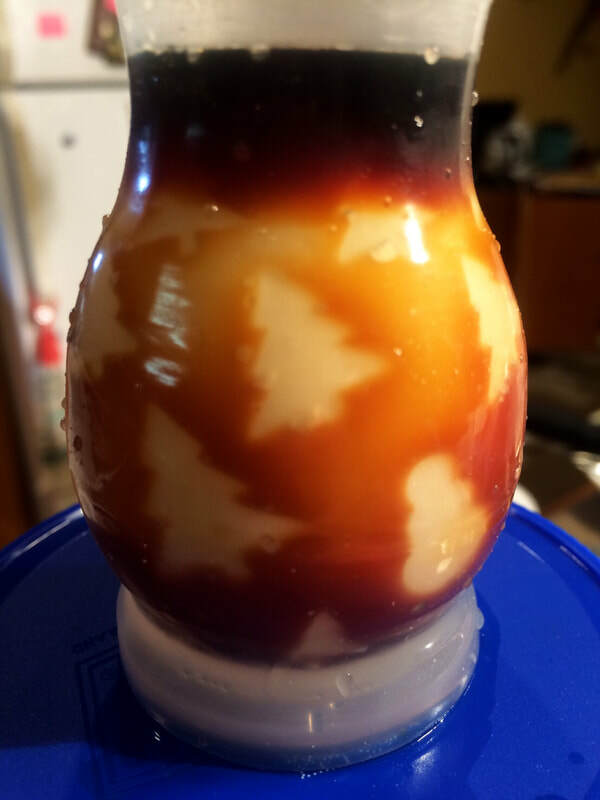 Do not microwave-heat eggs in EggYums. EggYums should be cleaned washed after each use.